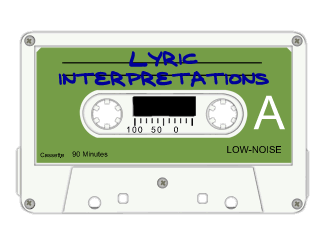 Here at a site like Lyric Interpretations, we of course strive to be the ultimate ruling body on what a song does and doesn't mean. But these songs, in particular, trigger a hot debate among our crowd of song scholars. Is there a hidden meaning, an intention between the lines? Rumors and theories seem to crop up around certain songs, sometimes intentionally created by the author. As they say, "There's no such thing as bad publicity." Perhaps the real conspiracy with these songs is the song writer slyly pumping conspiracy theory fodder into the lyrics. John Lennon, in particular, was known to strut out of the studio chuckling "Let them try to figure that one out!"